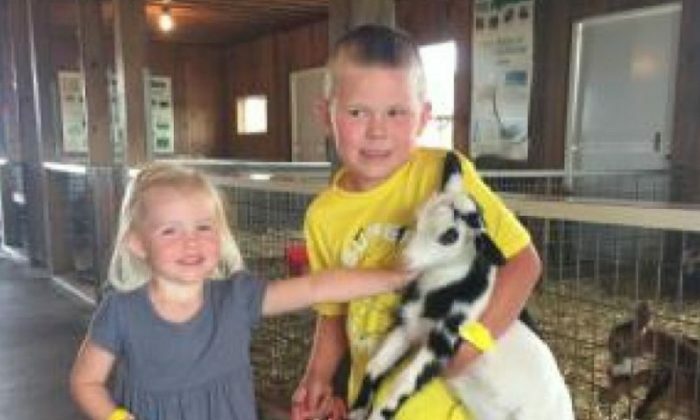 Two young siblings from Minnesota have been sickened by E. coli. One is fighting for his life, and the other died earlier this week. Kade and Kallan Maresh were sickened by a shiga toxin-producing bacteria earlier this month, causing acute kidney failure, the Minnesota Star Tribune reported on July 18. Parents Joseph and Tyffani Maresh said the toxin from the bacteria killed their daughter, Kallan. Kade needs constant dialysis after his kidneys failed. Now, the Minnesota Department of Health is investigating how the two children were infected. Officials asked a petting zoo to pull their farm animals from the display, Fox9 reported. State Public Health veterinarian Joni Scheftel said the Department of Health is looking into what the children ate and where they visited in the past two weeks. They contracted a type of E. coli that causes hemolytic uremic syndrome, or HUS, which can cause organ failure. “Normal, healthy well-cared for animals can carry germs that can make people sick, and you can’t tell by looking at animals, which one may be shedding a germ and which one isn’t,” Scheftel added. A GoFundMe set up for the family has raised more than $65,000 for medical expenses for the children.